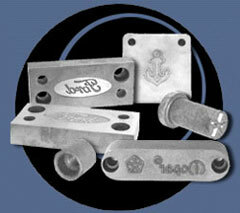 specializes in making custom engraved steel stamps. From punches to embossing sets, we provides high quality dies with great turn around time (usually under one week). carries a wide variety of industry standard type and retainers. All standards are in stock and can be shipped out for you the same day.